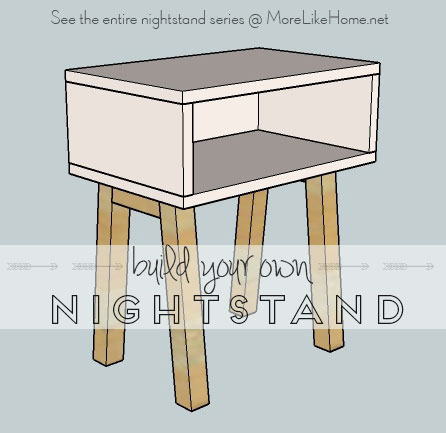 Welcome to day one of our nightstand series! You can see the entire series here. We're starting with something that is easy to build and has a simple, modern style. And you can totally change the style just by switching up the legs! 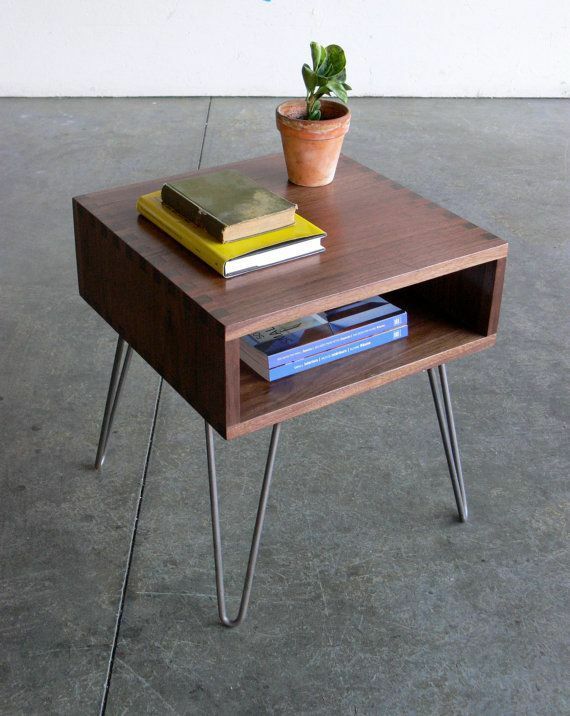 You can choose a tapered leg for a mid-century modern look (check etsy or ebay). 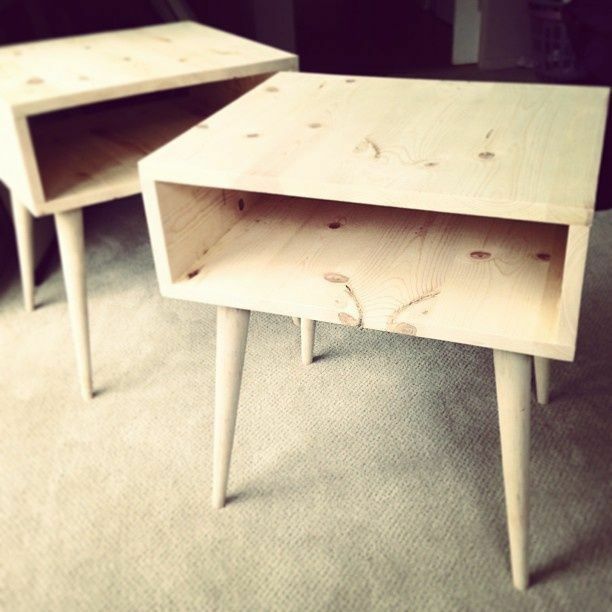 Or use hairpin legs for a fun twist. 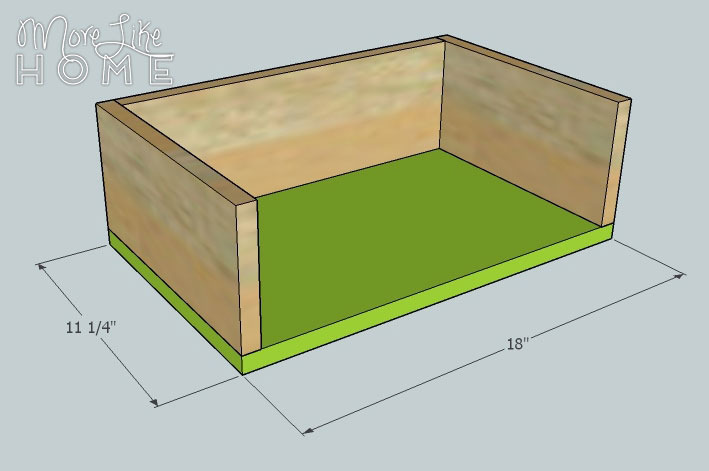 Our base plan will use simple 2x2 legs because they are much more affordable, and you can get them anywhere. But feel free to have fun and mix it up! Overall dimensions for this table are 18" wide x 20 3/4" tall x 11 1/4" deep. 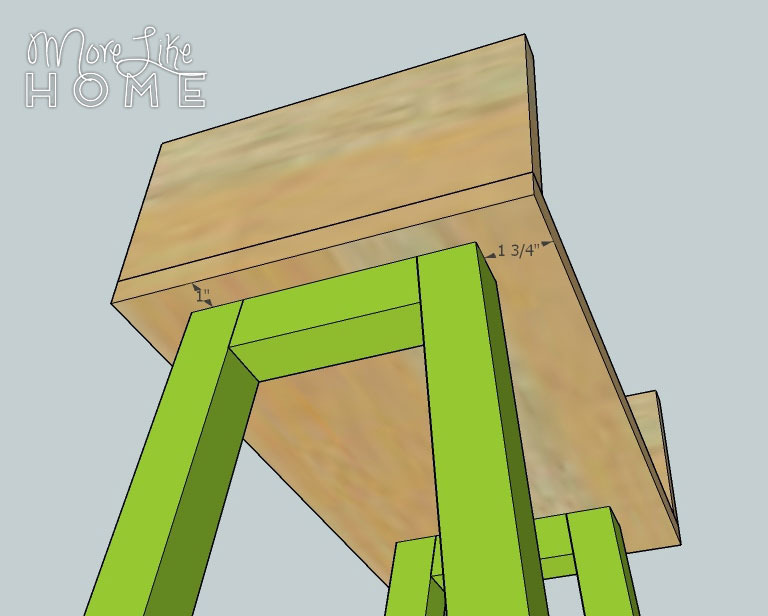 If you need a different height you can adjust the length of the legs to get a good fit for your bed. Start by attaching a side board (B) to each end of the back board (A) like this. You can use a Kreg Jig, or drill through the side boards into the ends of the back board. Next attach the bottom board (C). It should be flush with the sides and back. 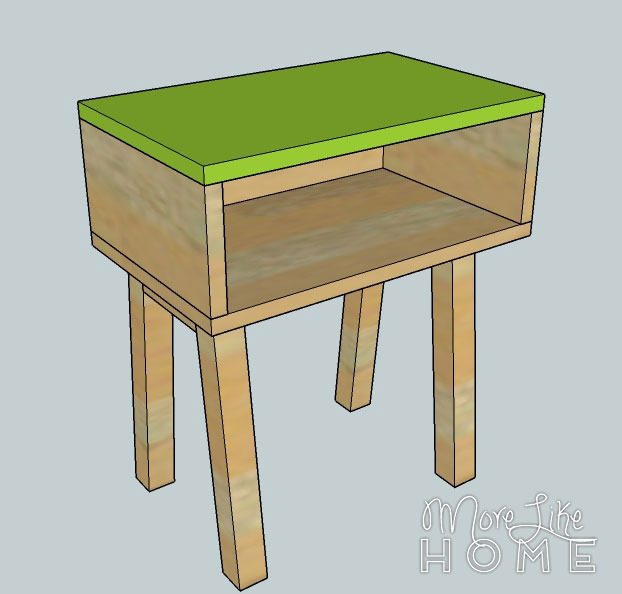 Attach it using a Kreg Jig or by drilling up through the bottom into the sides and back. Next prepare the legs. Start by cutting the end of each leg (D) off at a 6 degree angle (I know, it's a funny amount). Make sure the ends are cut parallel, like this /=/, not this /=\. Now cut the ends of each trim piece at a 6 degree angle. This time you do NOT want them parallel, so it should be like this /=\. Now you can assemble each leg unit. 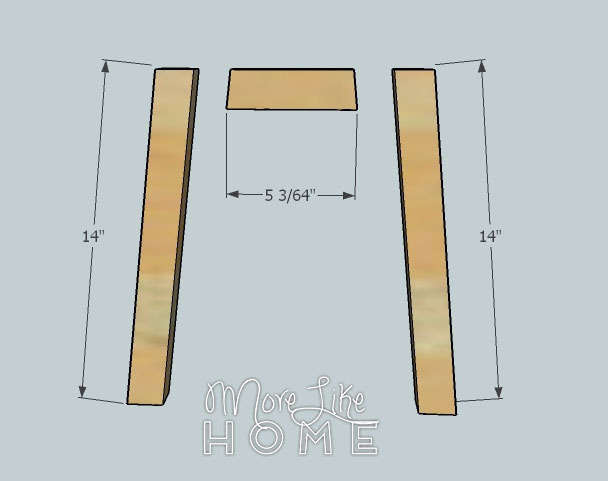 Attach one leg on each side of the trim piece like in the picture below. Make sure it is totally flush across the top. You can use a Kreg Jig with 2 1/2" screws, or drill through each leg into the trim piece using 2" screws (don't forget the glue!!). 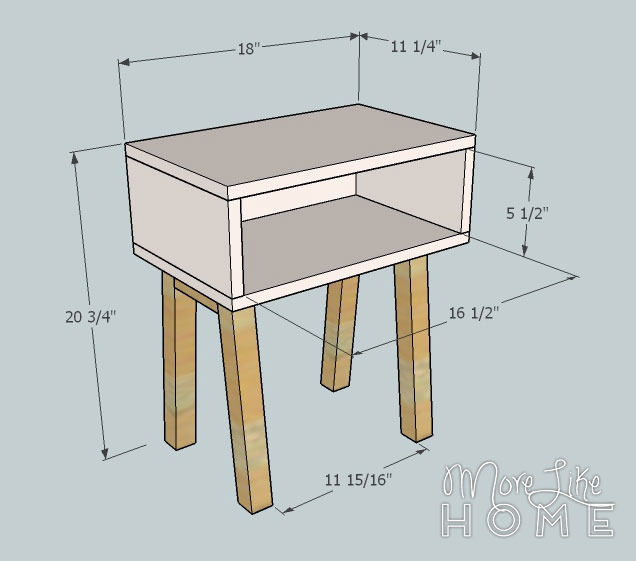 Attach each leg unit to the bottom of the nightstand. Each unit should be set in 1" from the side and 1.75" from the front edge. Drill down through the bottom board into the legs and trim pieces (be careful not to hit the screws holding the leg units together). Finally attach the top (C) by drilling down through the top into the sides and back. It should be flush all around the outside. You can use finishing nails instead if you want a cleaner finished looks because it won't leave any big holes to fill. The building is done, now you just have to finish it! Start by filling any holes with wood filler. Let it dry, then sand it smooth (repeat if necessary). Then sand the whole table smooth for a great finished product (a good sanding can be the difference between looking professional vs. crafty). Then finish with any paint or stain and polyurethane you like. I'm digging the two-tone look with a white painted top and clear poly on natural wood legs. How about you? Stay tuned - we have 17 more days of DIY nightstands coming up! Any tips or workaround if I don't want to see screws at the top or kreg jig holes inside the side panels? Sure! One option would be using small finishing nails instead of screws because they pretty much hide themselves. 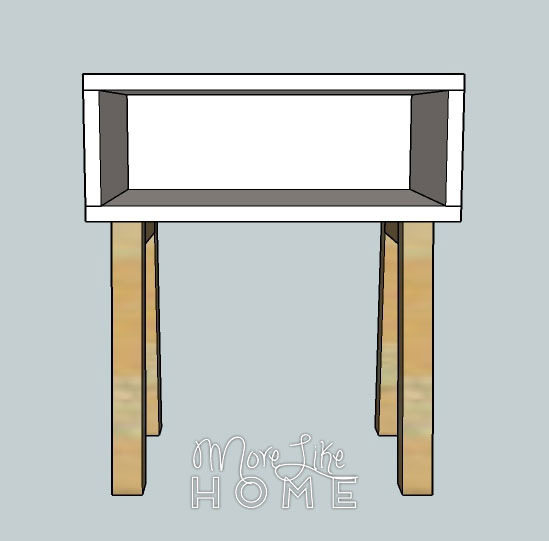 You're other option would be using wood filler to either fill the Kreg holes, or to countersink screws from the top and use wood filler to fill in those holes. Make sure you get a stainable kind if you will be staining instead of painting! I read this article from Anna-white, and just bought 18mm blockboard and some woods for the legs.. 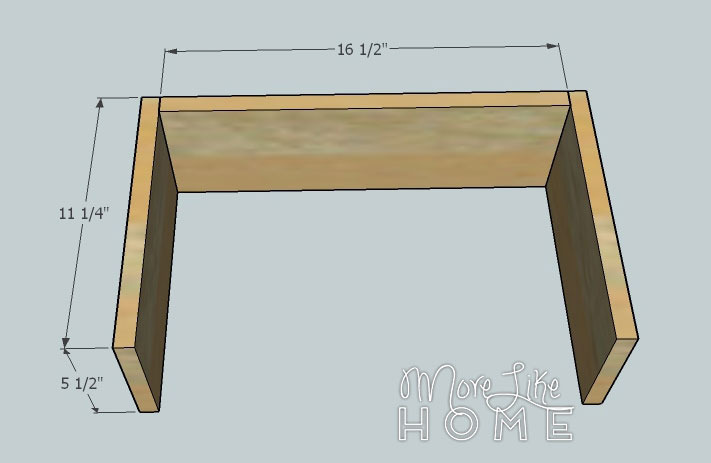 Looking forward to make this nightstand desk.. It looks great! Thanks for sharing. :) I'm glad you like it! Is the materials list for one or two night stands? Awesome direction, seems easy enough for even someone like me with minimum carpentry skills. One question though, the bed i'm making this for is a tall bed. 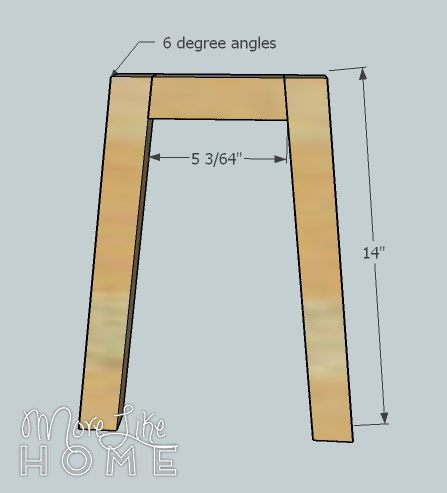 Therefore I will be adding another 4-6inches on the legs, will that change the 6 degree angle cut or would it stay the same.